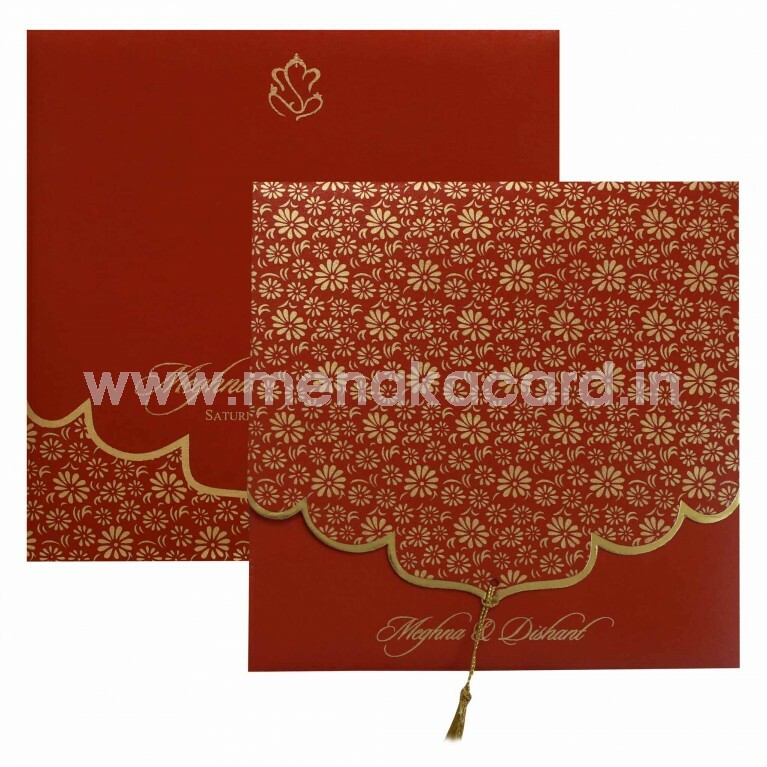 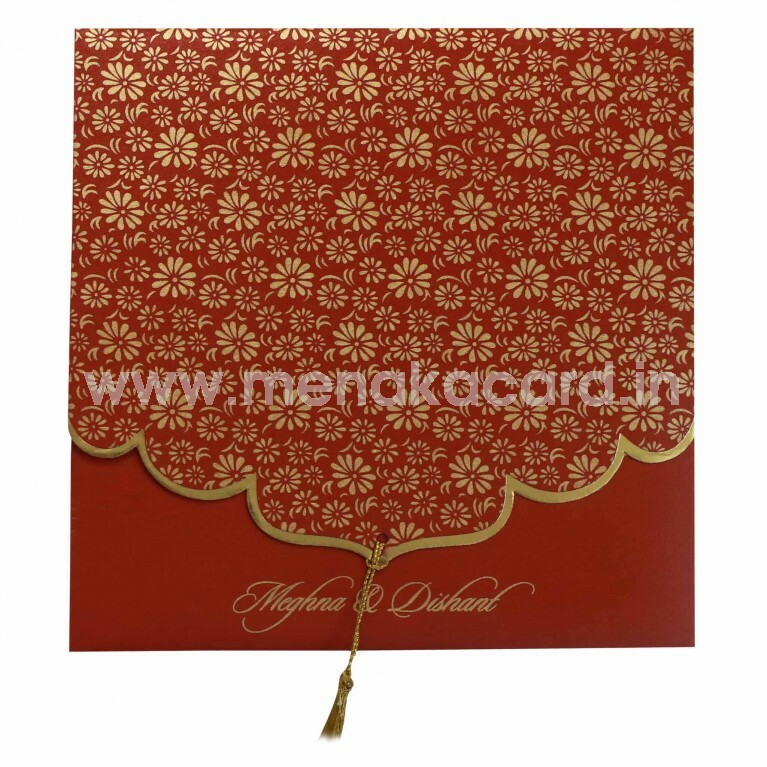 This semi-traditional red laptop folding card is made from a shimmer board, that has a traditional solid gold border outlining the arched die-cut silhouette that adds a traditional touch to the modern floral patterns in gold ink. 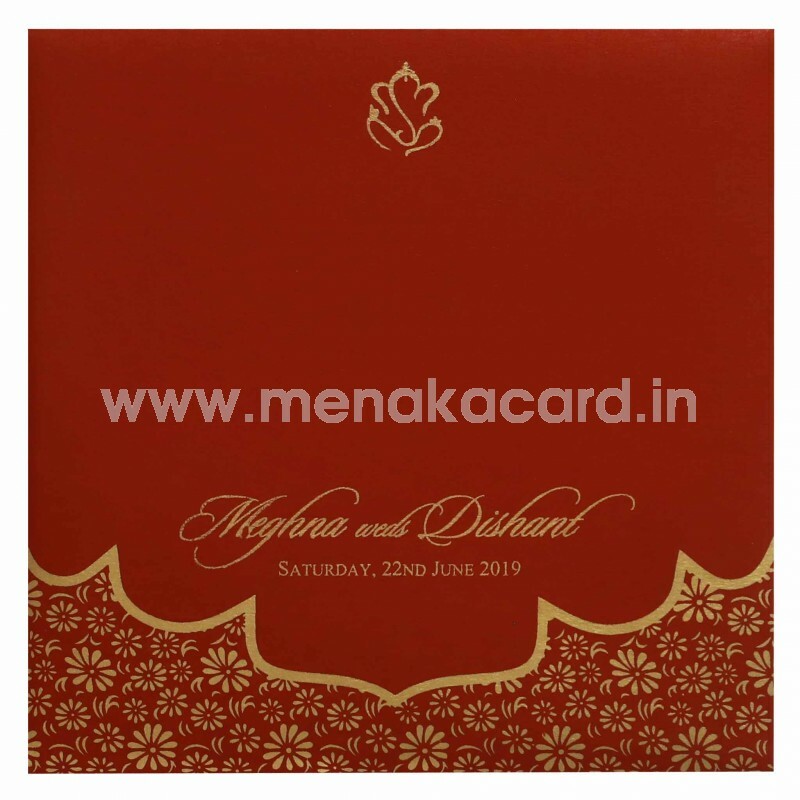 The inserts of the card sit in the lower flap which is revealed when the flap above is lifted by the zari thread, The inserts have the colour options of cream, yellow, orange or green with the envelope matching the design on the front of the card. 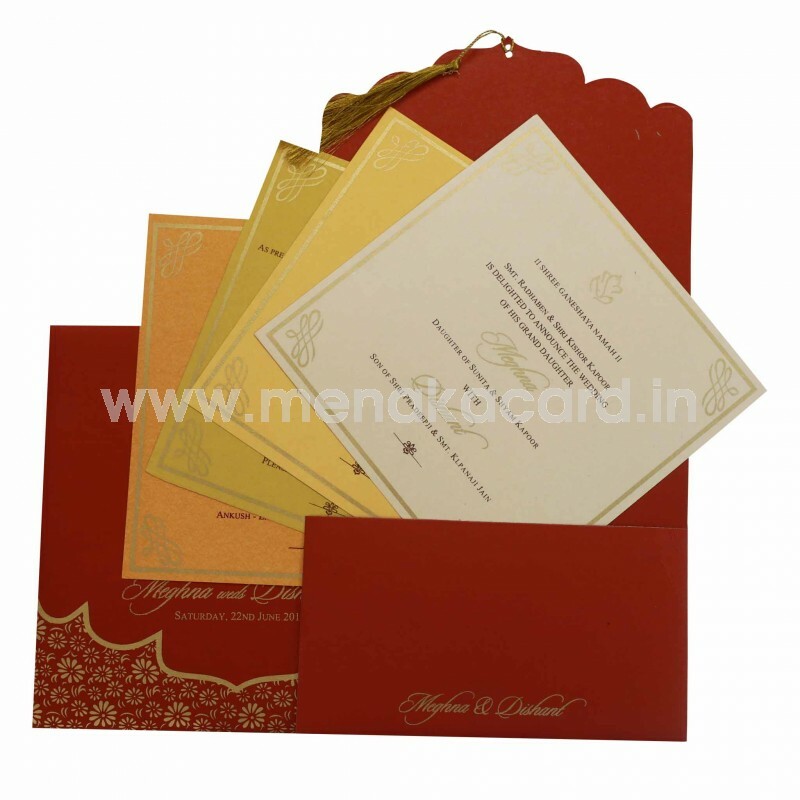 This can be used for Muslim weddings as well as Hindu weddings, personal invitations to friends and colleagues, grahapravesham, upanayanam etc.